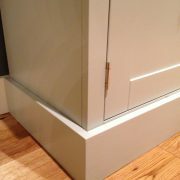 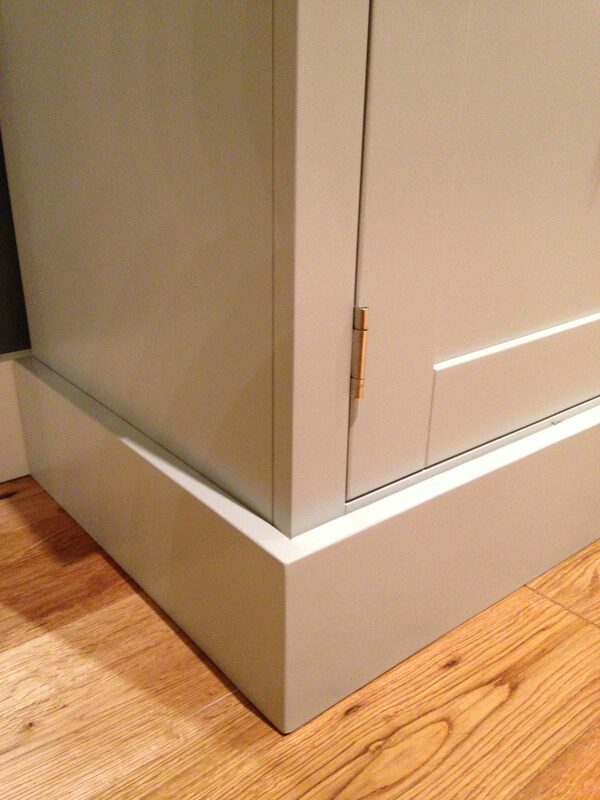 INSIDE EACH CUPBOARD IS AN ADJUSTABLE SHELF & THERE IS AN OPEN SPACE AT 100cm WIDE FOR DVD PLAYERS & SETUP BOXES. 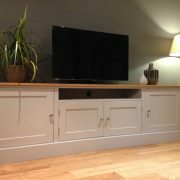 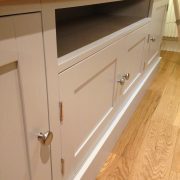 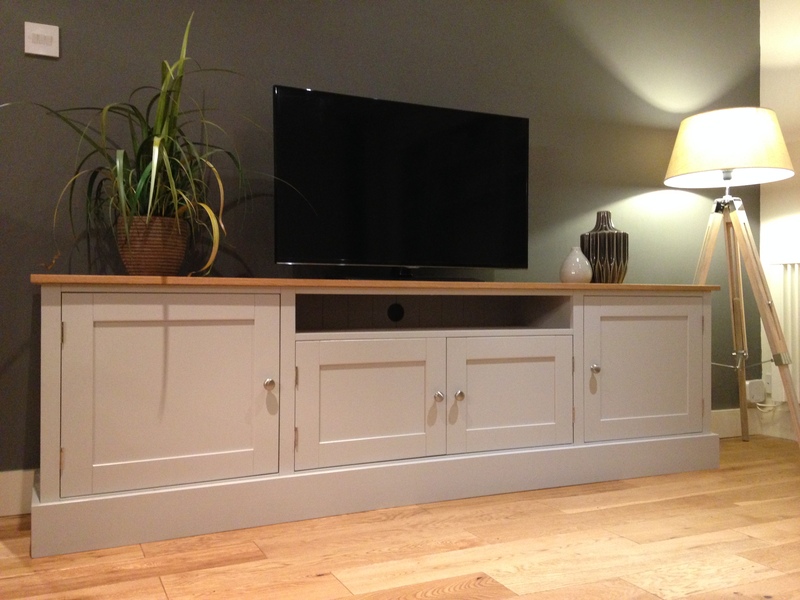 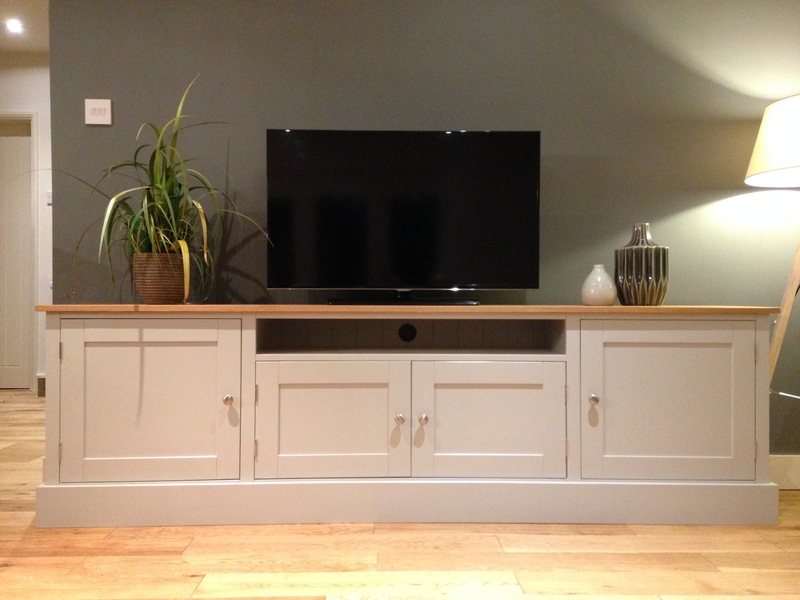 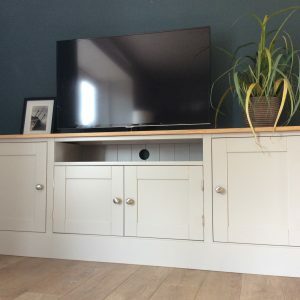 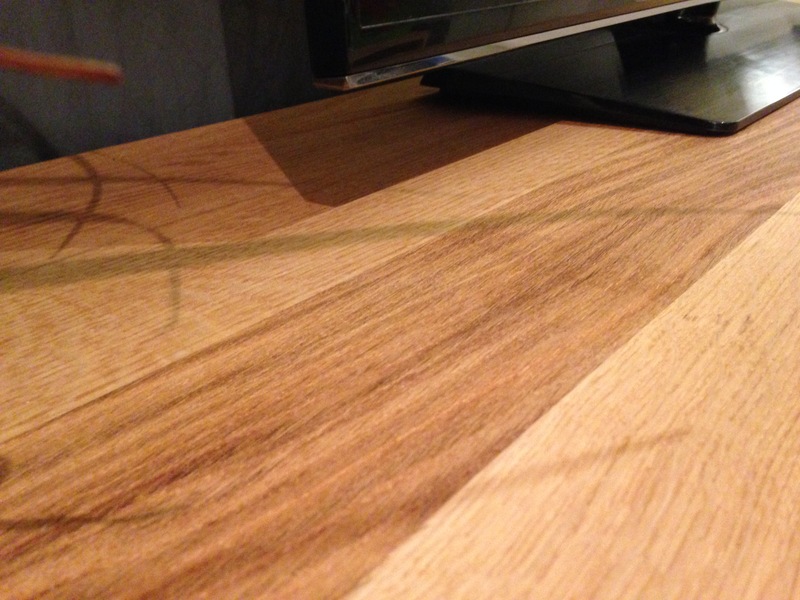 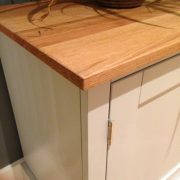 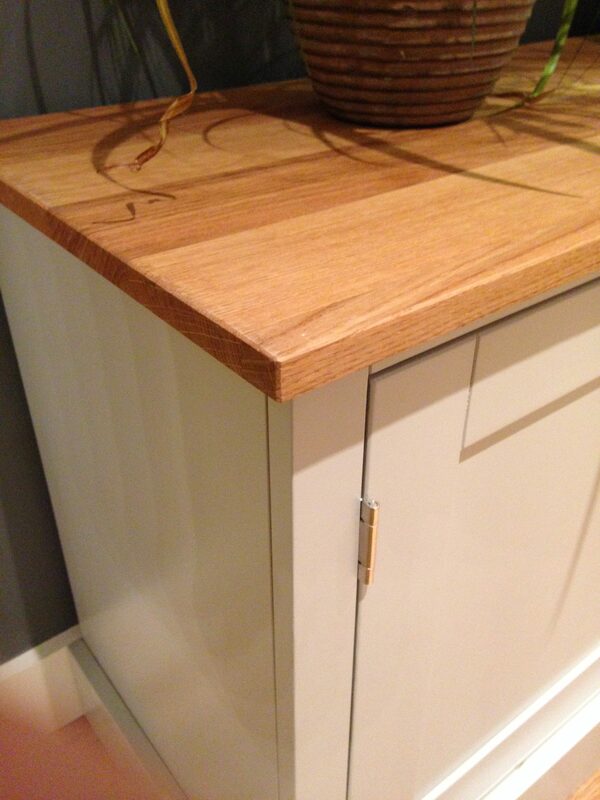 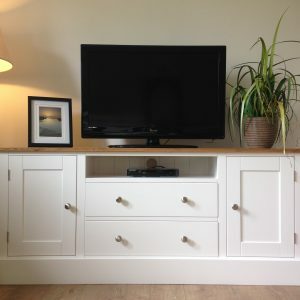 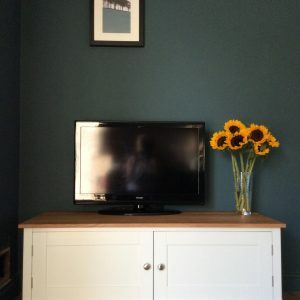 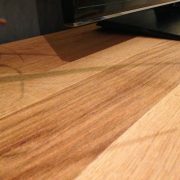 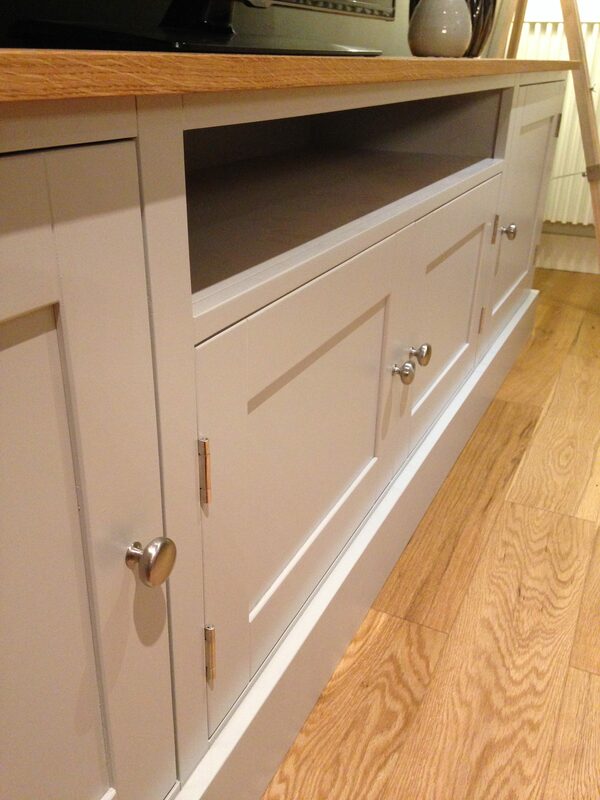 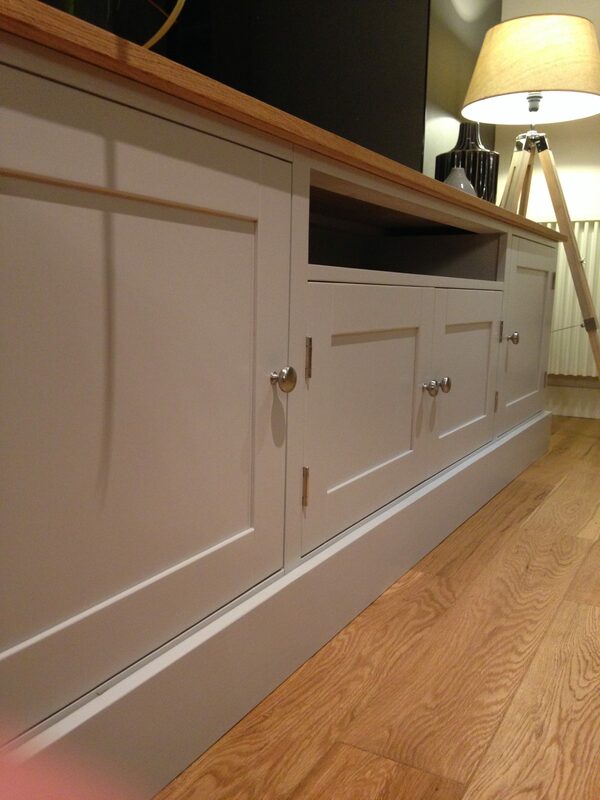 THIS TV CABINET HAS A BEAUTIFUL SOLID OAK WORKTOP & THE REST IS PAINTED SOLID PINE. 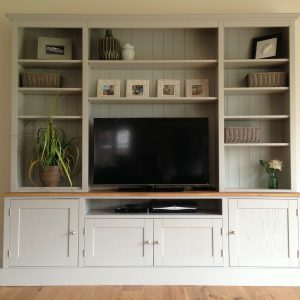 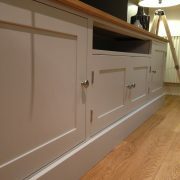 YOU CAN ALSO HAVE THIS UNIT PAINTED IN ANY FARROW & BALL COLOUR. 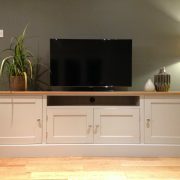 (ALSO AVAILABLE IN 6FT, 5FT & 4FT VERSIONS).